Kavin Construction in Los Angeles has been serving with home Remodeling and Residential construction for more than 37 years under the guidance of Mr. Michael Kavin. Customer satisfaction & design excellence has made them a leading general contractor in Los Angeles. Kavin Construction, one of the top rated residential new home construction companies in Los Angeles, CA carries every project with utmost craftsmanship, professionalism and well organized. 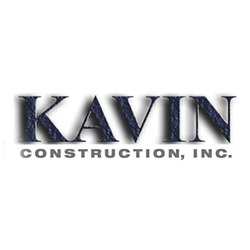 Exterior Remodeling, Interior Remodeling and Residential Construction, Kitchen Remodeling, Bathroom Remodeling, Architecture and Home Design, Fence and Gate Construction are Kavin Construction’s areas of expertise. What makes Kavin Construction exceptional from other is that they provide a comprehensive step-by-step outline and line item cost analysis of the project thus allowing the client to stay within his budget.